This week, fourth and fifth graders will wrap up the school year with a final review ... and, for the fifth graders, final taping of their presentations. This week, fourth graders will get restarted with our project about New Jersey Today, and fifth graders will get restarted with their newscast projects. Between that, trip letters, and the Spring Concert, it should be quite a week! This week, fourth graders will be taking the NJ ASK 4 while fifth graders use their time to finish scripts/outlines for their newscast projects. Can you believe we have state testing and the end of the year approaching so quickly? It feels like September was just yesterday This week, fourth graders will work on collecting data for our new unit and our new big question: how has New Jersey grown and changed since the American Revolution? Fifth graders will be drafting reports and outlines for their final project: a newscast about American history. I can't wait to see how these turn out! Fifth Grade Homework: Report/Summary due (Monday). Newscast Outline due (Friday). This week, fourth graders will wrap up written drafts of stories for our class newspaper: The New Jersey Times. Fifth graders will revise their quizzes from last week and start thinking about our last big question of the year: is the United States of America really one nation, united? Fifth Grade Homework: Workbook pages 95/98 (pages 96-97 are extra credit). This week, fourth graders will continue drafting stories for our class newspaper: The New Jersey Times. Fifth graders will debate the problems that confronted delegates at the Constitutional Convention of 1787 and the leaders who came after them. 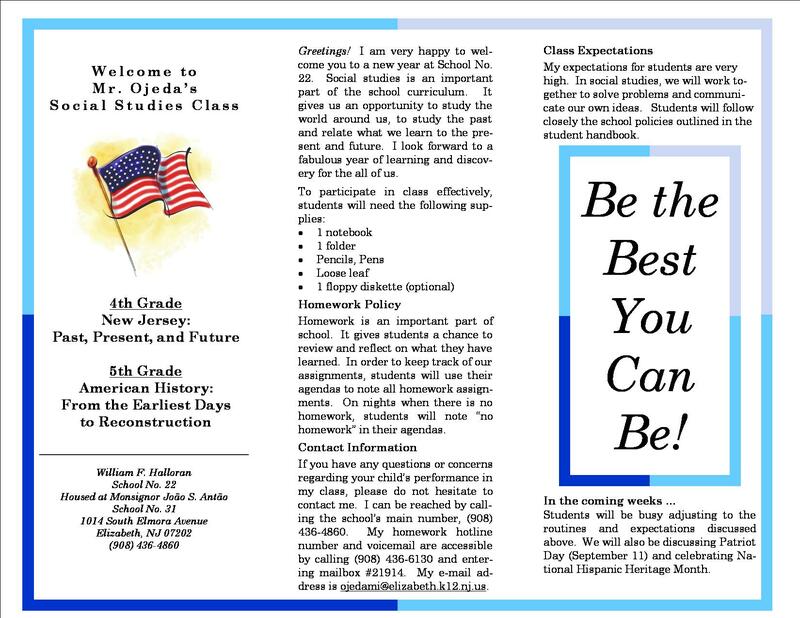 This week, fourth graders will draft stories for our class newspaper: The New Jersey Times. Fifth graders will complete their constitutional conventions and discuss the Constitutional Convention of 1787. This week, fourth graders will continue their unit about New Jersey history. Fifth graders will complete their letters to the President and begin exploring the U.S. Constitution. I hope everyone is enjoying the long weekend: special props to Priscilla for being the first sixth grader to figure out how President Obama could be our 44th President if only 42 other people had ever held the office! I owe you cookies this week! The slideshow for last week shows how the fifth graders are progressing towards our annual goals and I am very proud of all we've accomplished. :) This week, fourth graders will continue our unit on New Jersey history and fifth graders will wrap up our advice letters to the President. PS ... I think we're going to have a new, special project in the coming weeks. I'll have to think about it, but what do you suppose is the quickest way to raise $500??? Fifth Grade Homework: None, unless letters are not completed in class (5B and 5O). This week, fourth graders will continue learning about New Jersey history and explore Lenape Native Americans lived. Fifth graders will wrap up their projects on "what makes a great leader." This week, fourth graders will begin their unit about New Jersey history. Fifth graders will explore what it was like to be a leader during the Revolutionary War. Wow! What a week: Inauguration Day and a visit from General Washington! This week, fourth graders will complete their KWL charts and review our unit on measurement and map-reading; fifth graders will explore the trials faced by leaders of the Revolutionary War after 1776! Doesn't it seem like just yesterday we were talking about the electoral college? Tomorrow is Inauguration Day, a day that will help the fifth graders think more deeply about what makes a great leader. When President Kennedy was inaugurated, he famously called on Americans to serve their country, but he ended his speech with a reminder: "that here on earth God's work must truly be our own." Big works to live up to, but these will be times for big ideas and bold leadership. I am so excited that I get to share tomorrow with all of you. Enjoy the day! Fourth Grade Homework: Extra Credit (Optional; due Tuesday). Fifth Grade Homework: List of graffiti spots due on Wednesday (5R and 5O). Happy New Year, everyone! I hope we've all enjoyed the break. I can't wait to see everyone next week and I look forward to a wonderful 2009 ... and in case I don't say it enough, it continues to be my pleasure to serve as your teacher! Wow ... already half way through the marking period! This week, fourth graders will use their city maps to practice using grids and scales; fifth graders will learn about life in the English colonies. This week, fourth graders will do more exploring using grids and reading basic maps. Fifth graders will finish their first jigsaws and create maps of colonial America. Happy Thanksgiving to everyone! Enjoy the long weekend! What a week! I hope everyone enjoys the long weekend and I can't wait to get started on our new projects next week. It was great seeing so many of you at Bingo last night. It was a fun time; although, I was straight to sleep when I got home! As we enter the last days before the election, fourth graders will continue to analyze their survey data and fifth graders will discuss election news during our questions of the day. We will also start preparing for our second marking period projects and units. Tuesday is finally the big day ... our mock election! Let's everyone make sure that we've thought deeply about who would make the best President of the United States. Fourth and Fifth Grade Homework: None. Two debates down and two to go! This week, fourth graders will begin surveying students to try to answer their BIG question: how do kids feel about the presidential election? 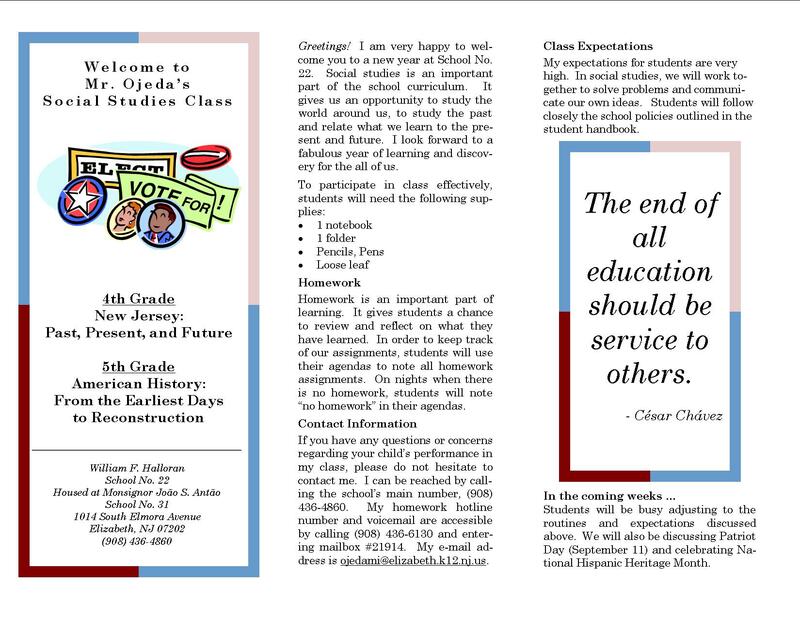 Fifth graders will be doing their part to inform the student body by creating issue brochures for our youngest voters. Fourth and Fifth Grade Homework: (Tuesday) With permission, view first 15-30 minutes of presidential debate. The debate on Friday was great! I am very excited about discussing what we saw this week in class. Remember, we have two days off this week, but the vice presidential debate is coming up on Thursday night! Fourth and Fifth Grade Homework: (TH) With permission, view first 15-30 minutes of vice presidential debate. I hope everyone is enjoying the weekend and the beautiful weather. I just finished filming an instructional video for fourth graders who need a bit of help identifying and noting pieces of graffiti; I hope it helps. This week, we will discuss the upcoming presidential debates. These debates should give us a GREAT opportunity to hear from both candidates and help us decide who should be our next President. Remember, new parents should feel free to contact me with any questions or concerns; my contact information is noted in the class brochure in English and in Spanish. Fourth Grade Homework: (TH) With permission, view first 15-30 minutes of debate on Friday night. Fifth Grade Homework: (F) With permission, view first 15-30 minutes of debate on Friday night. It has been great meeting all of my new fourth and fifth graders over the past few weeks. I am especially looking forward to meeting all of your families at our open house on Wednesday. Please feel free to contact me with any questions or concerns; my contact information is noted in the class brochure in English and in Spanish. I will be trying my best to reach out to all of my new students' families before the end of the first marking period. Fifth Grade Homework: (MWF) Recall/Recite/Reflect on all class notes. Denouement ... a fancy word for "an end to things." I can hardly believe how far we've come since September ... terrible tragedy and youthful persistence. Thank you so much to my fourth, fifth, and sixth graders for making the year such an amazing experience ... and for your support during the rough times. I even got to cap off my year by seeing my first bunch of fourth graders from School No. 22 move onto high school ... most of them, at the very least. Enjoy your summer and I look forward to seeing all of you in September! I remain here if any of you ever need anything. Take care of yourselves ... and each other. PS ... to my homeroom ... my little 5V's ... adiã ¦olks, and get busy living! I am sooooo happy that the fifth graders had the chance to see the National Constitution Center on Monday. The trip was a great experience and I know next year's fifth graders will get a lot out of it as well. As we wrap in the next few weeks, we'll review what we've learned this year and prepare for next year. I look forward to capping off a great year with fourth graders' review of New Jersey and fifth graders' discussions about the Civil War. I cannot believe that you will all be fifth and sixth graders in just a few short weeks! This week, fourth graders will rehearse their class presentations and fifth graders will preview their final exam. Fourth Grade Homework: Rehearse at home (Thursday). Fifth Grade Homework: Reading assignment for students who missed class due to band/chorus rehearsal: Chapter 11, Lesson 2, pp. 389-394 (War of 1812 and Monroe Doctrine) OR Chapter 11, Lesson 5, pp. 412-419 (Industrial Revolution). The fourth marking period! Already?!? This year is absolutely flying! This week fourth graders will develop graphs for their class presentations. Fifth graders will learn about America as it was during the early 1800s. This week, fifth graders will continue their mock constitutional convention. Fourth graders will use the school laptops to continue learning about New Jersey's oldest communities. Fourth Grade Homework: Read handout to answer primary research question. Fifth Grade Homework: Rehearse class presentations at home. This week, fifth graders will start their mock constitutional convention. We've prepared for weeks and I can't wait! Fourth graders will continue work on their projects and think about last week's big question: how did your topic community first get settled? No fourth grade and fifth grade homework this week. Happy Spring! I hope everyone has a wonderful, restful break and I will see y'all in a week! No fourth grade and fifth grade homework over the break. This week, fourth, fifth, and sixth graders will discuss their third marking period projects. Thank you again for your patience and great work during Mr. Lippi's absence. I am sure that our newest projects will be the best yet! Take care ... and stay warm! Sixth graders should continue to complete their weekly reading logs. Wow! What a few weeks we've had! Thank you so much to my fourth and fifth graders for all of your cooperation while I have been working with the sixth graders. I will try my hardest to keep updating the site every 1-2 weeks. I look forward to being back with my fourth and fifth graders in a week or so. Take care of yourselves. Happy New Year and welcome back. I have posted below all of our slideshows from December and there will be more to come. This week, we'll discuss future plans and goals ... all leading to our second marking period presentations. Hi everyone ... apologies for not posting our most recent class notes; I will be posting them this week. I am really looking forward to this week's concert; I know that you all will be FABULOUS! If I should miss you, my best wishes go out to everyone for a wonderful holiday season! Fourth Grade and Fifth Grade Homework: This week, and over the break, students will develop a three-hour presentation on the evolution of postmodern thought and its implications for historiographic research. The presentation should include handouts and students will be limited to three slides ... ha ha ... just kidding ... no homework ... enjoy the break! This week, fourth graders will complete their class presentations and participate in a pretest for our next unit. Fifth graders will create maps of the English colonies in their notebooks and compare/contrast life in different parts of the colonies. Fourth Grade Homework: Rehearse for your in-class presentations. Fifth Grade Homework: (5B/M) Read 4/4 and answer review question #1 on pg. 164; a complete answer is at least one paragraph. (M/W) Read assigned jigsaw reading (5/1, 5/2, 6/1, 7/1) and write an "I learned" paragraph in your notebook. (F) Create a colony mnemonic. This week, fourth graders will prepare for their class presentations on why people live in New Jersey ... besides the shore and Jersey Gardens, I mean. Fifth graders will complete their first marking period unit and watch selections from The New World. Fifth Grade Homework: (W/F) Read 4/4 and answer review question #1 on pg. 164; a complete answer is at least one paragraph. This week, fourth and fifth graders will be working on their class presentations. I will be in school on Tuesday and Wednesday before I leave for my conference ... yes, that's where Mr. Ojeda has to give his presentation. We will review all class procedures together before I leave. I want to thank all of you ahead of time for your wonderful work while I am away. Fifth Grade Homework: Rehearse your presentations at home. Remember the four behaviors. Short week this week ... I'll be meeting with the fifth graders twice and the fourth graders once. Both groups will be working on their final presentations which should be prepared by next week. Fourth Grade Homework: Conduct your interview. Remember, you are trying to answer our BIG question: why do people live in New Jersey? Apologies to all for not being able to update Annikeris last week. I'll try my best to not let that happen again. I've put up all class presentations from the last two weeks and posted the fifth grade presentation rubric. Fourth Grade Homework: Notebooks will be collected this week. There will be a test on Tuesday, October 30. Fifth Grade Homework: This week, students should use the resources that we listed in our notebooks to conduct research around their topics and research questions. These could include your textbooks, the internet, and class materials. Notebooks will be checked this week. Last week was very difficult for many of us and I have to thank all of my current and former students for their kindness and compassion. I did write down my thoughts this morning ... just thinking. This week, fifth graders will wrap up their jigsaws and play their first round of fifth grade Jeopardy. Fourth graders will be earning 4th grade bucks during their own review games for our Hispanic Heritage Month celebration on Wednesday. Fourth Grade Homework: Notebooks will be collected this week. Fifth Grade Homework: (Monday) Complete jigsaw handout if not completed in class. It was Tuesday afternoon when I heard that Priscilla died. I remember how bleak and windy it was ï®¥ of those days when the wind seems to blow the smell of water from the Arthur Kill all the way downtown. The rest of the week seems blurry ä²¥ary, sorrowful days ã¯¬d nights å¶¥ryone mourning ä¨¥ wake íŠ kids and teachers trying to move on. Priscillaà¦µneral was Friday å¬­o balloons ä¨¥ sun finally breaking through the clouds ã¯¬d ã¡¤ ... hearing the school song. Many of us read her autobiographical letter written just a few weeks ago. It told the story of a twelve year-old girl who we cared for deeply á � girl who liked lime slushies, enjoyed having fun with her friends and running around Jersey Gardens mall ... a girl who wanted to be a police officer or crime scene investigator when she grew up ... a girl who was proud of being from Elizabeth and loved her mom á §irl who left us too soon. Priscilla ì©¾cuï¿½te, baby. Mr. O misses you. We are getting closer and closer to the end of our current units and that means two things: 1) we'll be talking next week about the marking period projects, and 2) we'll be playing fourth and fifth grade Jeopardy very soon! Enjoy the day! Fourth Grade Homework: (Thursday) Read pages 272-275 in textbook and answer review question on page 273 in your notebook. Fifth Grade Homework: (Wednesday) Complete jigsaw handout if not completed in class. Wow ... cold weather arrived pretty quickly! I hope that everyone enjoyed the weekend and I look forward to a great week. Fifth graders will finish up their first jigsaw assignment and get started on their second. Fourth graders will play our vocabulary review game (see our fourth grade word wall for vocabulary terms) and discuss New Jersey's government. Fourth Grade Homework: (Thursday) Read pages 298-300 in textbook and answer review question on page 299 in notebook. Fifth Grade Homework: (Wednesday/Friday) New jigsaw reading/notes on colonialism. Thank you to everyone for a wonderful first full week! 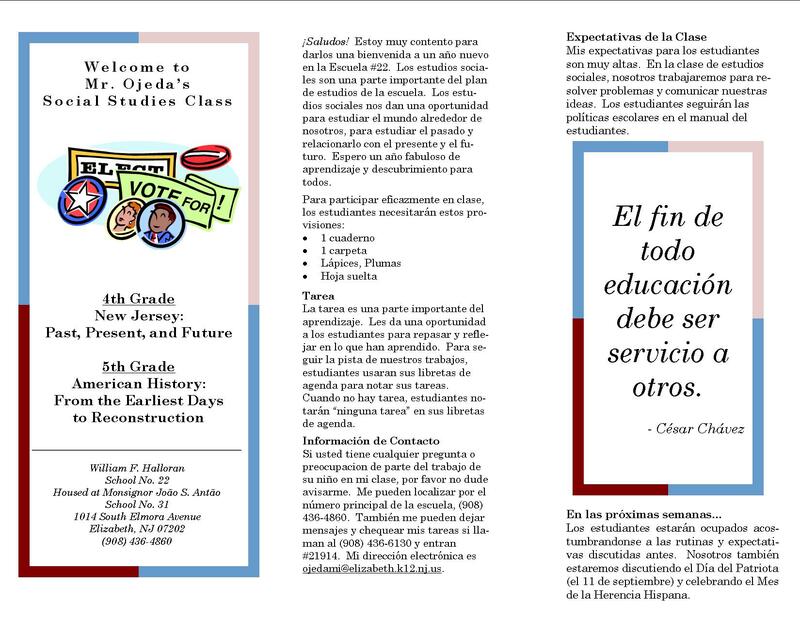 Back to school night went very well; any parent who did not receive the class brochure can access it by clicking here for the English version or here for Spanish version. 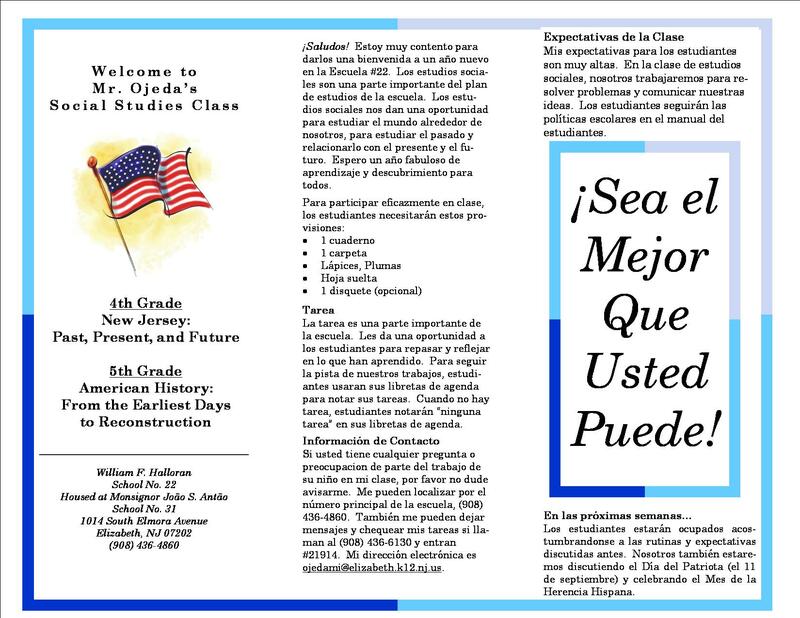 This week, fourth graders will be discussing Hispanic Heritage Month and New Jersey geography. Fifth graders will continue our class discussion about exploration and will have their first quizzes. Fourth Grade Homework: (Thursday) Page 1 in workbook. Fifth Grade Homework: (Monday) Read 3/3 and complete activity book page 30. (Wednesday/Friday) Jigsaw reading/notes. And we're off! It has been great getting to know all of you over the past two weeks. I look forward this week to finalizing our class procedures and starting our first units of study. Fourth graders will be studying about New Jersey Today and fifth graders will be studying early American exploration and Native American culture. Bundle up and enjoy the weekend! OK, it's official. In less than 24 hours, I will be winging my way to Portugal for my first trip EVER out of the United States. In fact, when I get to Barcelona, that will be the farthest from Elizabeth that I have ever stood! When I get back, I look forward to getting to know all of my new homeroom students. Until then, the links below include the summer reading assignments for my incoming fifth graders and my students heading into the seventh grade. These files require Adobe Acrobat to be read; for a free Adobe Acrobat Reader, click here. An end to all things ... well, I have handed in your final portfolios: y'all are REALLY seventh graders now! Can you believe it? It's been a long road for many of us ... some as far back as fourth grade. Thank you for everything you've done to make my life at school so special. It was rough at times, especially in Mrs. P's absence, and I am sorry if I didn't have as much to give as I did in the past ... with special apologies to 6I who had to sit through my lunches on occasion (sorry guys ... sometimes, I just couldn't make it to the end of the day!). In a few days, I will be posting your summer reading assignment and contact info for your seventh grade language arts teachers. PS ... and one last poem ... for the road. Hoping that everyone had a wonderful long weekend! As we discuss Memorial Day, Darfur, and more this week, here's a poem for us to think about: "Let America Be America Again" by Langston Hughes. Research papers are due at the beginning of June. Students will present their slideshows during our class publishing party (end of the first full week of June). Students should include at least one outside source in their research projects. I will be at the main branch of the library from 5:00-9:00 PM on Wednesday, May 23 and Tuesday, May 29 for those who need any assistance. Hi everyone. I apologize for not updating the class page last week. I have posted our most recent center descriptions and will be posting some revised slideshows soon. As some of you may have noticed, I have been using lots of copyrighted materials recently in class and I will not be able to post my complete presentations. I hope that everyone enjoyed the nice weather and that we are all looking forward to a great fourth marking period! It was just a few days ago that I was telling Mrs. Rooney about how much I loved Constantine P. Cavafy's poem, "Ithaca" ... I have actually been planning to use it as a read aloud at the end of the year. My shock was unimaginable on Saturday when I revisited the poem ... this time, at the online tribute to Stephen Liddawi, one of Elizabeth's assistant superintendents; Mr. Liddawi passed away on Friday. I first met Mr. Liddawi in passing, his last day at Hudson School abutting my first day there. Immediately, I noted the deep regard in which he was held by the faculty and students. I did not get to speak to him until ten months later as we dispatched our first class of eighth graders, my first year as a teacher drawing to a close. Mr. Liddawi will be deeply missed by those whose lives he touched. I extend my sincere condolences to his family and loved ones. Hi everyone ... so, the NJASK is finally here and I have every confidence that we will do well. For the remainder of the week, we will do a few read-alouds and start preparing some of our work for publication in the sixth grade literary magazine. We will look at a few examples in class; in the meantime, check out Teen Ink for ideas. This is going to be GREAT!!! I cannot wait to get started. upon the things we must accept and live with. And therefore only the brave dare look upon difference without flinching. Please note, these links open large pdf files. If you are unable to view the files, you may wish to download the free Adobe Acrobat Reader by clicking here. Hi everyone. I apologize for not being able to update the site sooner. As many of you noticed, cold and flu season hit me hard this week ... thankfully, this was nothing compared to last year when I had pneumonia for a week! I've added new center descriptions and two new slideshows. We will be reviewing last week's writing over the next few days. Remember, we will do everything possible to make our writing the best it can be! This week, we will wrap up our discussion of innovation and its consequences. We will also start working towards our next big idea: Researchers analyze demographic data to help them understand large and small populations. This week, I will have a chance to meet with my new elective groups. So á¦´er much deliberation, I have decided on service learning as the focus for the next two marking periods. I canà·¡it to get started! Weì � start by brainstorming and reading about Cé³¡r Chá¶¥z, the Chicano activist who worked so hard for the rights of California farmworkers. Hereà¡ video clip about La Causa that may help to get our imaginations moving in the right direction. This week, we'll start reading Letters from a Slave Girl by Mary E. Lyons. Also, we will be presenting our findings about world religions using the full presentation rubric. This week, we'll finish reading Tuck Everlasting and continue our research into world religions. Remember, we will be preparing for presentations using the full presentation rubric. 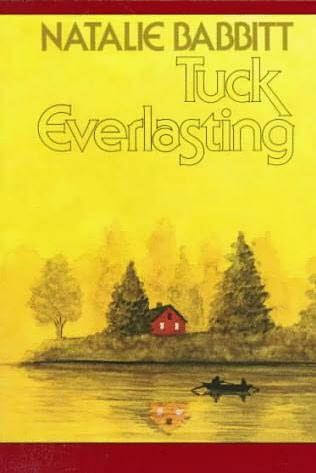 This week, we'll start reading Tuck Everlasting and start our unit about world religions. We'll also review some aspects of North American and world geography as we proceed through the text. I'd also like to remind everyone that the Martin Luther King Day of Service is just a week away. What better way is there to commemorate Dr. King's memory than serving others? We'll talk this week in class about things we can do to make this day special. "Our lives on this planet are too short and the work to rolex replica watches be done too great ... But we can perhaps remember, if only for a time, that those who live with us are our brothers, that they share with us the same short moment of life; that they seek, as do we, nothing but the chance to live out their lives in purpose and in happiness, winning what satisfaction and fulfillment they can. Surely, this bond of common faith, this bond of common goal, can begin to teach us something. Surely, we can learn, at least, to look at those around us as fellow men, and surely we can begin to work a little harder to bind up the wounds among us and to become in our own hearts brothers and countrymen once again." Happy Holidays to all. Take care of yourselves ... and each other. Hi everyone. I'll be posting some links in the coming days that may assist some of you with your boardgame projects ... so be on the look out. I absolutely cannot wait to see you all in the concert next week. I am sure that it will be fantastic! Wow ... it really has been a while since I've had a chance to update the site! I apologize for any inconvenience, but I am still struggling with publishing the copyrighted materials being used in class. Nevertheless, I think I have a solution: for the rest of this school year, if I am unable to replica watches uk post specific class materials or centers on the site, I will at least post a description to help students working at home. Sound good? I hope so, because I can't seem to think up any other solutions. Anyhow, I hope that you all had a wonderful Thanksgiving! Next week, we will finish our presentations about the Holocaust and start discussing our new novel: Hatchet by Gary Paulsen. Have a great weekend! Hi everyone. I have put up a ton of new stuff, including the centers from the past few weeks. This week, we will discussing the upcoming mock election while continuing our learning about the Holocaust. We will also go into greater depth regarding our family/immigrant interviews. Hope you are all enjoying the weekend. Take care! So, the dedication went very well, despite my getting stuck in the elevator at the end ... the band and the vocal groups were wonderful and I am sure that everyone went home and fell right into bed. I do apologize for not being able to get centers and other class materials up as quickly as previously. I am still working through some copyright issues and hope to have everything resolved soon. Any parent or student who needs any help or has any questions about homework should leave me a voicemail at #21914 and I will get back to rolex replica uk you as soon as possible. I hope that everyone is enjoying The Pinballs as much as Esperanza Rising. Enjoy the rest of the weekend! PS ... For those of you who enjoyed the episode of American Family that we watched the other day, here's a link to show's homepage. PPS ... And a link to this week's WebQuest. Hi everyone! I have just put up plenty of new stuff to keep everyone busy for a while. This includes our new prescription, three centers, the revisions to the bill of rights and responsibilities, and more. I hope that we were able to answer most of your questions over the past few days. If more arise, everyone has my voicemail, e-mail, and room number. Please don't hesitate to contact me. Take care. And so it begins! I am happy that I have been able to see so many of you during the past few weeks while picking up uniforms. The school has really come together over the past two months ... and yes, you will all be getting a tour on the first day. I will be in Room 235 with Mrs. Petrillo teaching social studies for students in 6 BIV. To see the letter that went out to sixth graders this summer, click here. I can't wait to see you all together again! Take care of yourselves and enjoy the beautiful weather! Wow ... has it been a while? I hope that all of you are enjoying your summer and that all is well. I'll be working at School #31 this summer helping to set up for the upcoming year. Take care of yourselves and I'll post again as the first day of school draws closer. PS ... Just in case you haven't already stumbled upon it, here's the link to the Elizabeth Public Library ... give it a look! I hope that everyone is enjoying the long weekend while, at the same time, remembering what we discussed this week about Memorial Day. Born out of the Civil War, the holiday commemorates the sacrifices made by American servicemembers throughout the history of our republic. If you feel comfortable doing so, I encourage all of you to participate in the National Moment of Remembrance tomorrow at 3:00 PM. Take care. And a busy few weeks it has been ... protests, immigration, and constitutional debates to boot. I'd originally set out today to write something about Standup.org and the future of American high schools, but that will wait for another day. Good bye, Miss Sally. We'll miss you. Happy Easter! I cannot wait to get back and start our fifth grade debates over the Constitution. I am sure that everyone will do a great job! Take care of yourselves and enjoy the break. Things went very well yesterday at the Destination Imagination Finals in Robbinsville. The teams did a great job and were excellent representatives of the Elizabeth Board of Education. Best of luck to all of our students taking the NJASK this week ... I know that you are all ready and will do your absolute best! Wow, I just finished watching Walkout, a new movie from HBO Films. The film chronicled the 1968 protests launched by Chicano students in East Los Angeles. I thought that the film was excellent and can't help but ponder how far we've come since throwing tea into Boston Harbor. Did you know that Samuel Adams actually did his thesis on civil disobedience while a student at Harvard? Wherever he is, I'm sure Sam is smiling! This week, I will be handing out our most recent class awards. Again, I would like to thank all of you for your hard work over the course of this year. I've also updated the site with our new extra credit project. Fifth graders may be especially interested in a look at Historic Valley Forge. Well, I'm alive! Thank you all for your great work while I was out last week ... I have a little bit of a cough left, but I am feeling 100% better. I've posted our new prescriptions and am looking forward to seeing you all soon! Take care. I hope that everyone has been having a wonderful new year thus far. We'll be getting new prescriptions this week; fourth graders will start learning about the early exploration of New Jersey and the fifth graders will be learning about colonial America. We'll also be looking forward to Benjamin Franklin's 300th birthday and Martin Luther King Day. In the next two weeks, we'll be completing our exit cards and reviewing what we've learned about Native Americans. Fourth graders will learn about some Lenape legends and the Fifth graders will continue to compare their family heritages with those of the Native Americans. I hope that everyone enjoyed the Thanksgiving weekend. In the next few days, we'll be wrapping up our portfolio entries and starting our new units. Both 4th and 5th graders will be studying Native Americans, with the 4th graders focusing on the Lenape (the first New Jerseyans) and 5th graders studying the myriad of tribes that inhabited the Americas centuries ago. It looks like the students of School #22 agree with the majority of voters in New Jersey ... both groups chose Jon Corzine to serve as New Jersey's next governor. This week, we'll be wrapping up with our latest round of learning centers and adding some artifacts to our R/LA and Math portfolios. I'm looking forward to seeing lots of parents at our conferences. Take care. This week, we'll spend our first meeting watching clips from the gubernatorial debates and discussing Thursday's mock election. Your homework will be to think about what we've been discussing and make your final decision. We'll be doing centers again during our second meeting of the week (we'll also discuss our R/LA and Math portfolio entries). If you'd like more information, check out Corzine for Governor and Forrester for Governor. If you'd like information about your State Assemblymen who are running for reelection, check out their sites: Assemblyman Neil M. Cohen (D) and Assemblyman Joseph Cryan (D). So it looks like we have an amended Bill of Rights and Responsibilities. The amendments have been added in light of the fact that 9 out of 12 groups voted for ratification. Remember, the founding fathers used the same system (see Article VII of the U.S. Constitution). Tomorrow, we'll be starting our new centers as we gear up for the mock election. Enjoy the day! Well, by Tuesday all IG's will have voted whether or not to ratify the additions to our Classroom Bill of Rights and Responsibilities. Remember, we need 9 out of 12 groups to vote for ratification in order to adopt the new bill. We will also be starting a new set of learning centers and other activities to prepare for the coming election. OK ... our revised Bill of Rights and Responsibilities is just about ready for ratification. We will vote this week and see what you decide. We will also be discussing Hispanic Heritage Month and Columbus Day in the coming days and weeks. Remember, these would be great topics for anyone interested in doing an extra credit project. It's officially Constitution Week, so we'll spend at least two sessions drafting and ratifying our new Classroom Bill of Rights and Responsibilities. Remember, we want everyone to have a chance to share their ideas. I'm confident that it will turn out great! I hope that everyone had a great first week back. I've added links to the new 4th and 5th grade texts that you'll be getting next week, as well as special instructions for logging on to Harcourt's Learning Site. Enjoy the weekend! Well, I am looking forward to a great year. From now on, I'll be posting all of my presentations online, so you'll be able to access them outside of class. I can't wait to see you all. Take care and I'll see you on Wednesday! Wow ... can you believe we'll be back in a month? I'm already making plans to update the site and I've been mapping out what we will accomplish during the first marking period. Enjoy the rest of the vacation! I can't wait to see you all in September! Hey ... great news! I've just received some photos from the soldiers in Iraq who received our care packages. I'll definitely have the pictures up for the first day of school! I hope everyone is having a great break ... and doing some great summer reading! Well ... summer school starts today, so I look forward to seeing some of you. For everyone else, I hope that you have a wonderful and safe summer vacation. Be good! The goal of this internet scavenger hunt is to learn about the history and purpose of Memorial Day. Use the sites listed here to answer the questions on the back of your prescription. I hope that we will be able to answer some of the questions from our KWL charts. Next week, we will start studying the Civil War and Memorial Day. Don't forget to collect donations for our care packages ... when they're done, I'm sure that they will make a lot of American servicemembers very happy. Can you believe that there's only one marking period left? 4th graders are reminded that they should correct their world geography tests and have them signed by parents. 5th graders: Good Luck on the Terra Nova this Week! I'm sure you'll all do a great job! I hope everyone had a great snow day. I'll see everyone on Monday. 5th graders should check out the scavenger hunt sites below. We'll be using them next week. 4th graders ... don't forget to bring your SRB's to class. Be good! OK ... I just got the call about the snow day. Have a great day and I will see you all on Tuesday. Oh ... 5th graders ... don't forget that we start our new workshops this week! Take care. I hope everyone has a wonderful vacation. Be safe and have fun. 5th graders will pick up with "1776" when we get back. Have a great Thanksgiving holiday! I'll see everyone on Monday! Leaving you all is one of the hardest things that I have ever done. Good luck to all of you. I will always treasure my years at Charles J. Hudson School and I will miss you all.